Born in Tijuana, Mexico to a Mexican father and an American mother, Urrea has published extensively in all the major genres. The critically acclaimed author of 11 books, Urrea is an award-winning poet and essayist. The Devil's Highway, his 2004 non-fiction account of a group of Mexican immigrants lost in the Arizona desert, won the 2004 Lannan Literary Award and was a finalist for the Pulitzer Prize and the Pacific Rim Kiriyama Prize. Urrea's first book, Across the Wire, was named a New York Times Notable Book and won the Christopher Award. Urrea also won a 1999 American Book Award for his memoir, Nobody's Son: Notes from an American Life and in 2000, he was voted into the Latino Literature Hall of Fame following the publication of Vatos. His book of short stories, Six Kinds of Sky, was named the 2002 small-press Book of the Year in fiction by the editors of ForeWord magazine. He has also won a Western States Book Award in poetry for The Fever of Being and was in The 1996 Best American Poetry collection. Urrea's most recent book, The Hummingbird's Daughter, is the culmination of 20 years of research and writing. The historical novel tells the story of Teresa Urrea, sometimes known as The Saint of Cabora and the Mexican Joan of Arc. After serving as a relief worker in Tijuana and a film extra and columnist-editor-cartoonist for several publications, Urrea moved to Boston where he taught expository writing and fiction workshops at Harvard. He has also taught at Massachusetts Bay Community College and the University of Colorado and he was the writer in residence at the University of Louisiana-Lafayette. Urrea currently lives with his family in Naperville, IL, where he is a professor of creative writing at the University of Illinois-Chicago. 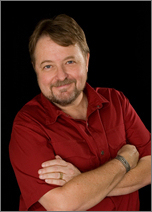 Visit Luis Alberto Urrea's website.